Well it wasn’t exactly clockwork, but Update 3.1.1 is live in-game. BioWare has posted the patch notes for those that haven’t been in-game yet. There have been some minor UI, achievement, and emote fixes/changes. 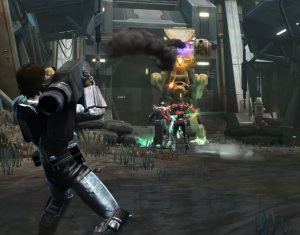 There are also some class changes hitting the game in Update 3.1.1, with Trooper/Bounty Hunter having some big changes. The other big changes in-game has to do with the balancing of the new Hardmode Flashpoints including the Flashpoints from the Forged Alliance storylines. The balancing also includes some boss fights in the two new Operations. Be sure to read through all the patch notes for more details.